As anyone with Meniere’s disease knows, it’s not a fun disease to have at the best of times. But when you add a cold to the mix, it ranks somewhere on the awful scale between a paper cut in the eye, and being forced to watch every episode of the new Full House remake. Most people with Meniere’s don’t give colds a second thought – until they catch their first one after being diagnosed. Then they get to experience attacks like they’ve never felt before, and when combined with the cold, it’s usually enough to knock them completely out of commission for a few days. After receiving my diagnosis a few years back, I barely acknowledged the first time I started to get the sniffles. 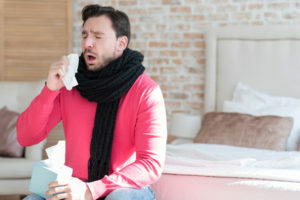 Like most men, I figured if I got a cold, I would just stoically lie on the couch and suffer in silence for a few days – even if my wife might not necessarily agree with my version of events. Of course, the sniffles quickly morphed into brutal vertigo attacks, until it reached the point where I couldn’t function at all. And with every subsequent cold I’ve had over the years, those same attacks return. First comes the vertigo, and then my balance goes – it’s like I’ve been returned to the dark days of when I was first learning to cope with my illness. But recently, I started to wonder why Meniere’s disease is affected so much by colds. If you talk to fellow sufferers, nearly every single one of them will agree colds are terrible to deal with when you have Meniere’s. I decided to take this question to my amazing balance rehabilitation physiotherapist. He confirmed colds did incredibly nasty things to people with vestibular disorders, but he hadn’t read any research as to why. His theory was that the cold put pressure on the ear, which resulted in the out of control vertigo, loss of balance, and general desire to pull a van Gogh on your ear in a futile attempt to reduce the suffering. Not quite satisfied with this response, I took the question to my ENT. He was a little more helpful, even though he wasn’t aware of any research on the subject either. But he said the consensus among ENTs, was that the cold affected the fluids in the ear – something that was already out of whack among Meniere’s sufferers. Armed with this knowledge, I decided to research if there was any way to mitigate the suffering during a cold. Unfortunately, I should have listened to both my physiotherapist and ENT – there was virtually no information out there about Meniere’s disease and colds. But after a few more colds and some trial and error, I did find that rigidly sticking to the hydrops diet did help a little bit. I found by reducing my salt intake (unfortunately, no chicken soup for me), cutting out all alcohol and caffeine, and by limiting my sugar, having a cold was somewhat tolerable. Of course, even if you’re strictly following the diet, having a cold is still no picnic, but it does help. What also probably helps now, is that I’ve grown used to the vertigo, and my balance has been improved through years of balance rehabilitation. 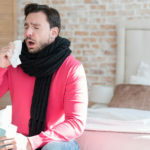 So, does a cold affect your Meniere’s disease? Let me know in the comments below, and any tricks you learned for dealing with a cold when you have a vestibular disorder. I’m sorry to hear it got so bad for you during the cold, and it really does seem like colds make it so much worse. I hope the trial goes well for you. I’m 39 years old and was diagnosed with menieres two years ago. I have only had one full dizziness / womiting / spin attack the last year, bur is struggeling light dizziness, fullness, headaches, Neck and facial pain. Got a could the other day, and is struggeling with stronger symptoms. Can feel the dizziness, but the fullness and pain is the main problem. I’ve definitely been there before. It’s amazing how a cold can knock you back again. Hopefully it clears up soon, and while I find the dizziness is usually worse for longer, it usually gets better within a week or so. My boyfriend has MD and tinnitus and currently has a cold that has kept him in bed for the last 3 days. He thank goodness does not have the vertigo attacks but the pressure in his head and congestion is aggravating his left ear to a point that he can’t really hear. The doctor prescribed the z pack and cough medicine for his cold but it doesn’t seem to be making him better. He’s already on a low sodium diet and a diuretic for his MD. What did you take for your cold? Unfortunately, there’s not much I’ve found to help during a bad cold. The best thing in my experience is really, really watch your diet and fluid intake. When I have a nearly perfect diet, then I find the symptoms reduce a little bit. Diagnosed a year ago and it’s only recently that I’ve realized that a cold or allergy attack triggers an episode for me. For me it appears to hit 2-3 days later as the cold symptoms are beginning to improve. The dizzy, off kilter feeling with nausea and lightheadedness is so bad. And appears to last 2-3 days. I was diagnosed with MD last year but have suffered for 4 Years. My vertigo attacks result in vomiting and being bed bound for hours each time. My attacks can last for 3 weeks non stop. I have just started randomly having vertigo attacks again and have a very sore throat. I did wonder if it could be a cold or sinus related illness that could of triggered it. I’m glad I read this and I’m hoping it passes quickly. Please all of you with menieres! Go to an upper cervical chiropractor! As they just found that menieres is caused by a head/neck (whiplash) trauma (meniere doesn’t appear until 15-25 years later). You all can google it! You’ll get rid of it! Greetings from a former meniere patient in Sweden. I find chiropractor‘s to be quack medicine. Proceed with caution. I have researched it and it makes so much sense now! C1 and C2 misalignment may be the cause! Ahhhh! I can’t wait to give NUCCA a try! 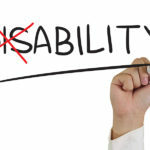 I’ve had symptoms most my life but easily dismissed until recently – I got a complicated medical history including chronic migraines and a pituitary adenoma. Currently going through my first cold since diagnosis and the lights are triggering horrible dizziness. The symptoms have just got worse every day so far. I definitely feel for you, Ellie. This disease is tough at the best of times, but during a cold it’s truly terrible. And lights do a number on me as well. I found switching them to warm light LEDs helped a lot. I’ve read that certain lights can be more triggering than others, and CLFs and fluorescent bulbs are supposed to be the worst. Also, bright lights are a major trigger as well, so try to go for less lights if it’s possible in your place. I was recently diagnosed and still unsure if my Dr is correct. Over the past few years every time I get a cold I end up with ear infections and last year even a ruptured eat drum. Is this common with MD? How do I go about finding a good ENT? I have so many questions that were not answered. Thank you very much for your wonderful article. I’ve had bilateral MD for most of my life. I never noticed any correlation between MD symptoms and colds until this nasty cold. My balance is so off whack that my body moves in strange ways. I have dizziness bordering on vertigo and nausea. I’ve had to stay in bed most of the time this week. I thought maybe this horrid cold could be a trigger for my MD symptoms being worse this week. There’s a wonderful support group on Facebook. It’s Living With Meniere’s Disease. It’s a closed group so people have to request to join. Hello Theresa. I’m sorry to hear you’re having a bad time with your cold, but I can definitely relate having just come out of a really bad cold myself (it’s the season). It’s really amazing how much it can exacerbate existing symptoms and I was bed bound for several days there. And I’ll definitely look into the support group on Facebook. Have had MD for 6 months. All the routine check ups. Have had 3 vertigo episodes. Last one I have some sinus issues that I’m sure started it. My episodes are not too bad but keep me down. I have been doing upper cervical adjustments for three months and do think it helps keep the symptoms down and I recover quickly. I’ve also followed a diet with low salt, no caffeine, etc. I’ve also stayed off all prescription meds or otc meds. These could be the start of the MD to begin with and they make episodes worse. I take a lot of natural supplements and they help to heal the body over time. Turmeric for inflammation, ginkgo, calcium, and 3000 mg b12. Multi vitamin. Doctors can only treat the symptoms, but you have to help the body heal itself. MD is not a disease, it’s a reaction of what’s going on in your body. You also have to be stress free to beat this. Try as hard as you can not to let this or daily things get to you. Everyone’s trigger is different find what yours are. Might do a blood test to see what minerals you are lacking. I’m also looking into my mercury fillings. I have five that have been in 40 years. Look up the video of the Boston symphony conductor who took his out. This is just another ailment in life, stay strong everyone! Enjoy the good days and don’t stress on the bad ones. May God bless us all! !